Description : My demon slayer can't get emblem even have finish the quest. All classes get an emblem at level 200 without a quest, it will be in the gift box icon. 2) You Have a new Message. 1) The lightbulb on my head was a Yu garden quest. 2) I have this notification that says you have a new message, but when i click either O or X its gone and then when i went to another portal the notification pop up again. Description: i`m defeat Will story mode and get chair, symbol but i got d.c before finished. When I chose "I wish go to the closed laboratory." to do this quest, Carson(NPC) talked me but nothing happened. So I couldn't go closed laboratory. Just thought to post this bug, but turns out it's already been reported over a month ago. Do we ever expect to have this fixed? In Dark World Tree: Upper-left Stem, on the left end of the middle branch, there is a hidden portal that sends you to the Maple World Goddess. Originally, this portal was supposed to be used by the player during the V-job advancement quest, where you use this portal to revisit the Tyrentum Goddess after she sends you away. (Even if this portal is still supposed to work, it shouldn't be sending the player to the Maple World Goddess, but to the Tyrentum Goddess instead). Edit: I went to Upper-right Stem and found that there is another hidden portal there as well on the top-most branch. It seems that most maps in DWT are plagued with this problem actually, making it much more annoying to train there for classes that use the "Up" key, such as Arans. Description: I killed a boss that i thoguht it would give reward point, and then i got a light bulb stucked in my head. i tried clicking it, @ea, Relogging, close aries and open it, everything, and nothing happened. the light bulb i dont what is the quest, and i dont remember where excatly i was. Have the same problem, happened after killing the shanghai temple boss. Description of the bug (Please try to be specific, which map does it happen on, which quest etc.) : After killing the Shanghai Temple boss, a quest appeared above my head that I cannot click on or find. Description: i cannot use legion, when i try to access the legion it says i need to complete prequest. but when i talk to dame or try to open the quest from the lightbulb it wont start. i have tried @ea and with other characters and it still wont start. and i am trying to open the legion with a character over level 60. Descripción del Portal del error: en la cadena de misiones de León, en la torre segunda, no me dan la llave para entrar en el portal superior no hay modo de seguir la cadena de misiones. Description of the bug (Please try to be specific, which map does it happen on, which quest etc.) : with illium, sometimes when i leave and go into other places and kill a mob, my exp gets reset to 0. must leave a map for this to occur. I got this bug too. Description: Can't Accept the "(Lv. 135)Ghosts of the Past" in Singapore. Guild skills are not implemented. Description of the bug: After completing the required task to get the third key to gain access to the third tower, Jenn doesn't give the key (etc % other inv slots have space). So can't continue the questline for Von Leon. Was fine for my other characters although I did them a while ago (if that has anything to do with anything o.o). Tried forfeiting the quest from Luden but Jenn wouldn't give me the quest again to try recollect. :c thanks! Description of the bug: I can't accept the "Ghosts of the Past" quest, in Boat Quay Town. Nothing happens when I click accept at the end of his dialogue. The lightbulb remains above his head, and nothing new is registered in the quest log. Description of the bug: In Boat Quay Town, unable to accept Ghosts of the Past (The Ghost Exorcist Badge quest). I tried many times, it just exits the convo box with no quest accepted. 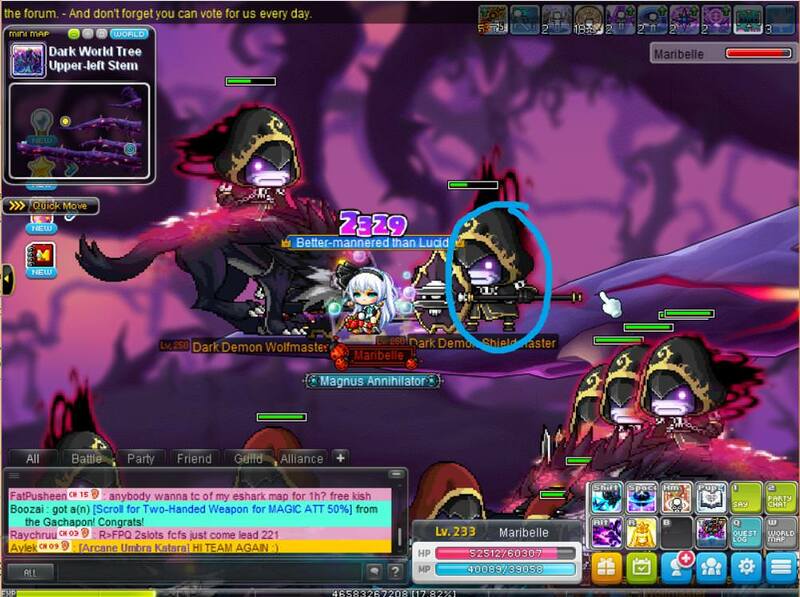 This is a known issue at the moment and likely due to singapore content closure in GMS. Please use the search function next time.